A History Teaching Toolbox Volume 1 and Volume 2 are the perfect handbooks for busy classroom teachers eager to try out some new strategies with their students. In each volume, more than 60 tried and tested activities and approaches are organised into helpful categories and explained with step-by-step instructions and topic-specific examples to illustrate how they can be immediately employed. A History Teaching Toolbox Volume 1 and Volume 2 are written for both new and experienced classroom practitioners keen to bring history alive for their students and is written by award-winning history teacher Russel Tarr. Russel Tarr is an exceptionally creative teacher. I've used many of his ideas in my own classes. After you read his book, I'm sure you'll be doing the same! This creative compendium of strategies is rooted in real-life classroom practice. This is collection of great ideas and resources, and it is much more than nice things to do and whizzy digital gimmicks. The no nonsense approach is perfect for busy teachers. The History Teaching Toolbox is designed for practising teachers in mind. All of the strategies and resources in a History Teaching Toolbox have been tried, tested and refined in the secondary classroom. Emphasis is given to techniques which have helped students develop content acquisition and historical skills. Creative and engaging methods are outlined which help to 'hook' students and keep them focused on the task in hand. The History Teaching Toolbox is divided into ten key chapters to reflect different stages in the learning process. Volume 2: TripAdvisor graphics | Design a theme park based around the topic | Statistics into infographics | Design / destroy a banknote | Google Doodles | Board games | Guess who? Volume 2: Biased sports commentaries | Crime board analysis | Dialogue poems | Speed dates / Blind dates | Top trumps | Which one doesn't belong? | Which one doesn't belong? Here are some history teachers who have made use of the History Teaching Toolbox. A History Teaching Toolbox really is the go-to guide for innovative and engaging History lessons. It really is a fantastic book. We have a student teacher at the moment so I'm going to buy her a copy for her as it's an absolute bible! It's rare to find such creative, adaptable ideas which are clearly explained. My new schemes of work won't know what has hit them by the time I've woven in all the different strategies from the book. Bring on the Socractic debate masks! This creative compendium of strategies is rooted in real-life classroom practice. The Toolbox is carefully structured around outcomes allowing the teacher to immediately select the right tool for the desired end result. The no nonsense approach is perfect for busy teachers. Sections outline the content, process and benefits of each idea. Add these to your armoury - you and your students will be the victors! This is collection of great ideas and resources, but it is much more than nice things to do and whizzy digital gimmicks. As Professor Robert Coe has pointed out it is entirely possible to have engagement without any learning going on. On the other hand it is also possible to have engagement and learning going on. This is particularly the case, when, as in this book, there is a clear intellectual and conceptual underpinning which gives the activities and ideas meaning and purpose. Russel has created and curated an enviable collection of strategies and techniques to achieve specific learning outcomes in consistently engaging and intellectually challenging ways. By identifying and categorising the broad objectives, and grouping his suggested strategies accordingly, he has produced a well-organised book that should be on every history teacher's desk. Whether you are planning a new unit of work, or looking for a different angle from which to approach a particular aspect of the course, the Toolbox will provide a wealth of practical ideas that can be implemented immediately. This truly is the type of book that provides activities and suggestions that any social studies teacher could implement tomorrow. It would also be a great book for history departments – go through a chapter together, try out a few of the ideas, and come back together to tweak and adapt. So spend some time at his websites and then head over Amazon to get the old school print. Both totally worth your time. Without doubt this is an important book for history teachers. There has been a real need for such a book specifically for history teachers and Russel is the ideal person to write a book to fill this gap. This book is jam-packed full of great, simple to implement ideas which would enhance any lesson. Just a cursory read or flick through will make you stop and think when you catch a great idea. If you are a history teacher, whether a NQT or, like me, a bit of an old lag then this book is an essential purchase. I cannot recommend the book highly enough! The History Teaching Toolbox is just that: a hands-on, 'let's get messy' approach to History which allows students to explore some highly challenging concepts in ideas that are grounded in reality. These are the lessons the students love: engaging, active, and above all, useful. They can see how a thought translates to a sentence, then to a paragraph, and then an essay which is great for building their skills, but also their self-efficacy. If only this had been published 40 years ago my lessons would have been so much more involving and effective – and the latter is the key point. This collection of teaching strategies is driven by the desire to help students learn more effectively – it’s about far more than ‘just’ involvement or variety or enjoyment. So this is highly-recommended for anyone who’s seeking to improve their teaching – there’s just so many good ideas to develop to fit the needs of your students. My only complaint is that it should have wider margins so there’s space to jot down all the possibilities prompted by each teaching idea! Russel Tarr has been teaching history for almost twenty years. He has a degree in Modern World History from Lady Margaret Hall, Oxford University. He is currently Head of History at the International School of Toulouse, France. 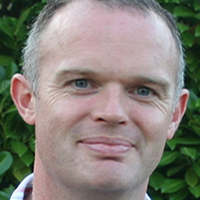 Russel Tarr is author of the award-winning www.activehistory.co.uk, which provides innovative resources and online simulations for the history classroom, www.classtools.net, which freely provides online game generators and learning templates, and www.tarrstoolbox.net, which shares practical classroom strategies for teachers. Russel delivers training courses to history teachers in the UK and Europe, writes regularly for the national and international press on historical and educational issues and is a prominent figure in the educational community on Twitter, where he is the most followed history teacher in the world.